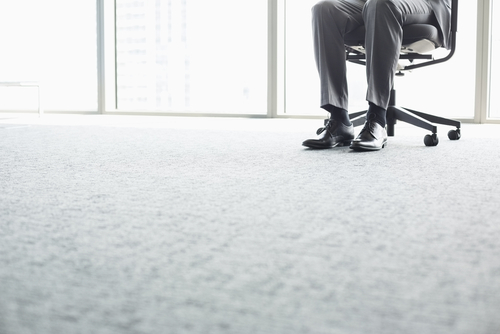 Carpets can provide an much welcoming and pleasant atmosphere in the office at Singapore. They are indeed an expensive investment that you make a huge impact in the office. There are certain mistakes that you do which can make the lifetime of carpet get reduced to a substantial manner. It is necessary to maintain the carpet in proper fashion so that it do not get spoiled fast. Cleaning the office carpet has same effort and pain as that of the house carpet. There are certain ways through which you can clean the office carpet. If your office need to have the same aura of freshness and pleasant look, it is best for you to take care of the carpet in Singapore well. At least once in a month you should vacuum the carpet. All that you need to do is to flip it upside down and then get vacuumed. It is always a better thing to make use of a beater bar on wool rug’s back and it is better to use suction on front. Vacuuming the back potion of rug with rotating brush or beater bar can help in making the dirt pushed towards the top of rug. The rug can then be flipped for cleaning the dirt with vacuum cleaner. There is necessary to make use of rotating brush or beater bar vacuum on both back and front part of the carpet for cleaning it perfectly. There are carpet shampoos and sprays available in the market which are good to be used with synthetic carpets. You need to check the label before you are buying any carpet cleaners or shampoos. This can help in understanding whether that particular product is suitable to be used with your carpet or not. Once you apply these cleaning products, make sure that you rinse that well else it can attract more amount of dirt to it. There are many products available in the markets that are good for stain removal. You should try to get the best solution available in the markets of Singapore. You can even make a stain removal solution of your own to apply on the stains and remove them. While vinegar, dish shop and distilled water makes a good combination as stain removal solution. You can even make use of lighter fluids in the form of excellent stain removal solution on your carpet. Steam cleaning is a perfect way to make your carpet comes to it’s previous form. You should allow the carpet to get dried for some time and so it is better to go for steam cleaning when the office is closed for some days. Steam cleaning is preferred once in a month for maintaining the carpet in perfect clean condition. The area and the carpet should be vacuumed before it is steam cleaned. This is really a time for carpet to recover from all the dirt and the stains that it has undergone. It is advised to get the spills and dirty spots removed at that instant when it occurs. Do not leave it to be cleaned later on as this can cause the stain to get sticked to carpet very badly. You can make use of a carpet shampoo, a foam cleaner or anything available in Singapore that can suit your carpet to remove the dirt completely from it. You can use a scrub brush or a rag for cleaning the stains that are so hard to remove. Make sure that the area that is spot cleaned is allowed to dry well before anyone walk over it. It is always to get the professionals to do the work as they know very well to deal with that. Professional cleaning Singapore can also help in increasing the longevity of the carpet. It is best to go for such professional cleanings after the damp seasons like winter and rainy season. This is the time when the carpet is made damaged by the moisture and dirt. Carpet cleaning is important same like cleaning any part of the office. It can help in keeping your office clean and good. The same freshness and welcoming aura of the office comes back with this cleaning.